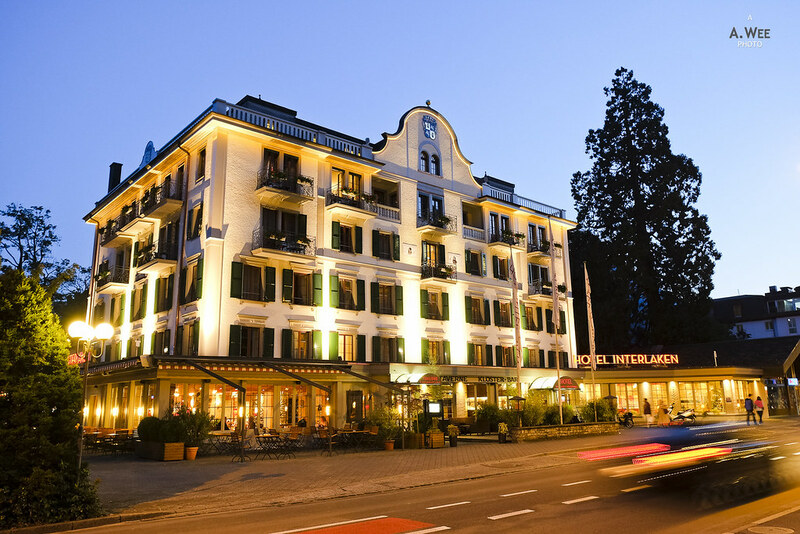 In Interlaken, due to the need for a triple room, I found availability at the Hotel Interlaken. 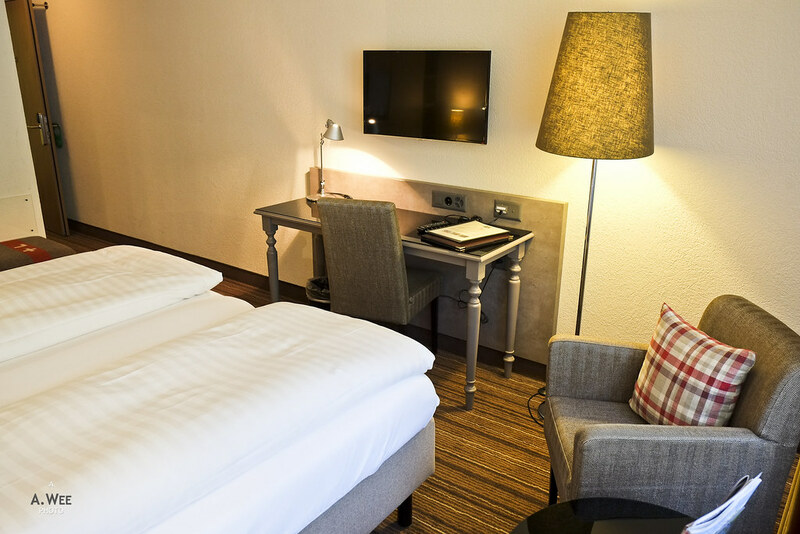 This property is located along the stretch of Höheweg alongside the other grand hotels like Hotel Royal St Georges, Linder Grand Beau Rivage and Victoria Jungfrau Grand Hotel. Thus it does have some heavy class neighbours to contend with. Arriving by car, there are 2 spots for guests to park temporarily up front, though there are free parking lots at the back of the hotel on a first-come, first-serve basis. If all the lots are filled up guests need to park their car at the paid lots opposite the hotel. 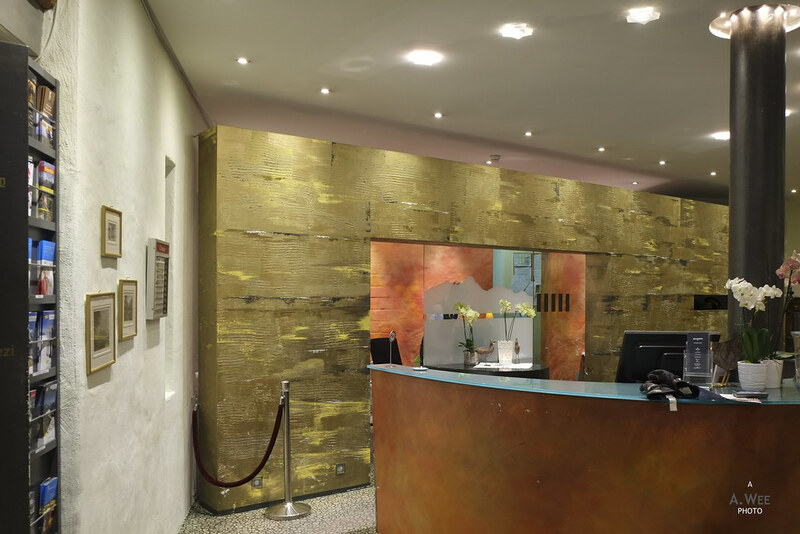 Inside the hotel lobby, there is an eclectic design style that does not seem to match, and the feel of the hotel is more like a rural area inn with an understaffed reception. There was only 2 staff on duty arriving in the afternoon and we had to wait about 10 minutes or so before being served. Checking in also took a while, but the front desk agent did provide a comprehensive overview of activities around Interlaken and provided us a map with a discount voucher for shopping. Having reserved 2 rooms in the hotel, it was nice to be given a room on the same floor across from each other. That is probably the next best thing to room adjacent to each other. The first room is a double room for 2 person occupancy. While the lobby of the hotel features old style European furnishings, first impression of the room was a contemporary feel. On the right side of the room is the bathroom entrance. 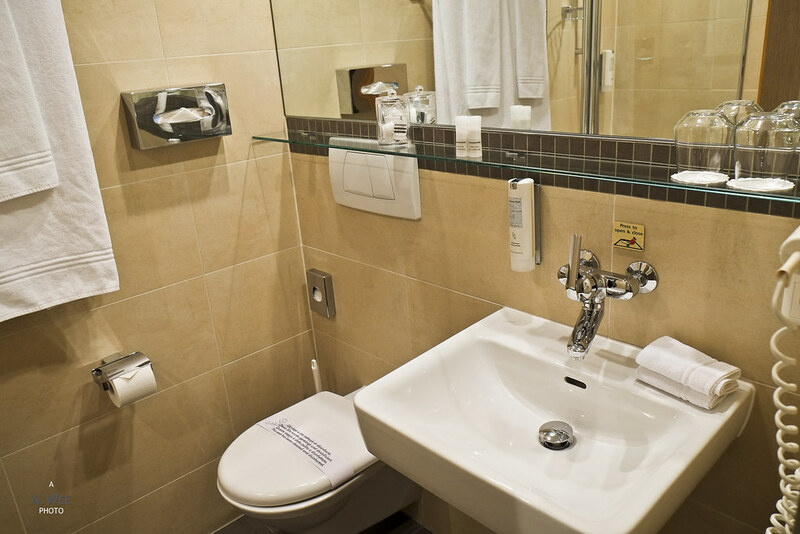 The size of the bathroom is somewhat small and in a similar style to the average Holiday Inn and Sheraton. 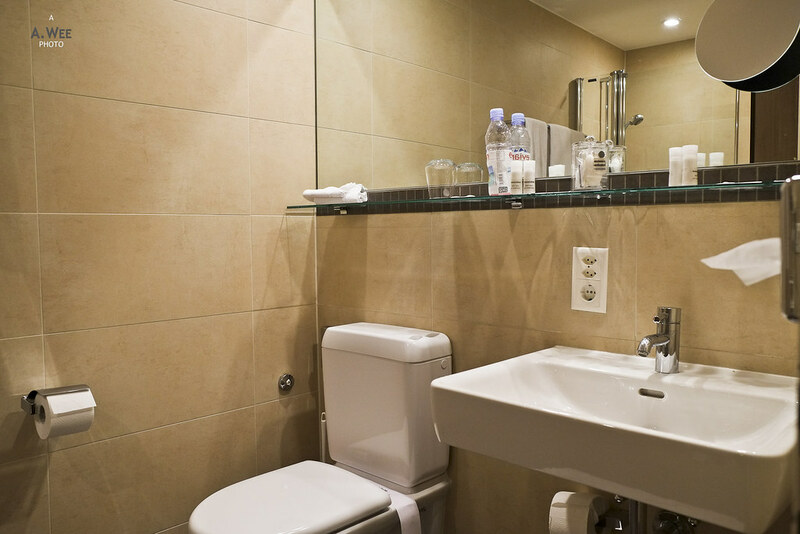 What was nice though was the glass shelf located above the vanity for storing your toiletries. 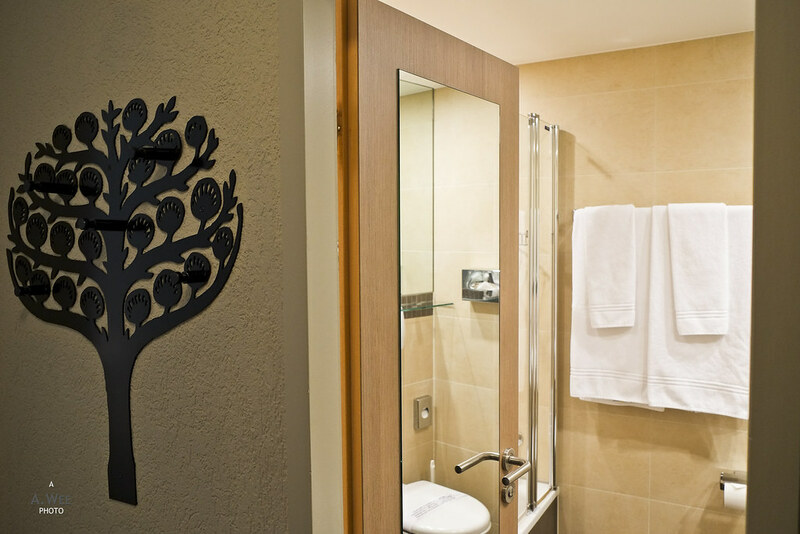 The hotel also features a bathtub and shower combination but there is a glass partition. 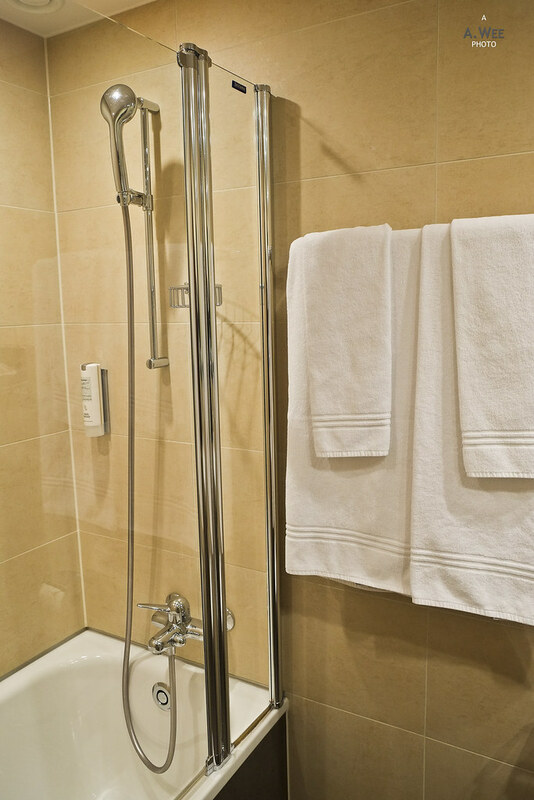 I prefer the clean and open look of using the glass partition rather than using a shower curtain which is the norm in North American hotel chains. Inside the bedroom, there is a double bed, which in European terms is 2 single beds conjoined together. Like all European hotels, the comforter is neatly folded instead of being tucked in. There is also an armchair and round table at the end of the room. And a work desk and chair by the wall, though the desk is a bit on the small side. The next room situated across is probably the reason I chose this hotel as this room sleeps up to 4 person comfortably and I was able to take this room with my siblings. Like the other room, there was a bathroom on the left and the bathroom is of a similar furnishings and size as the double room. 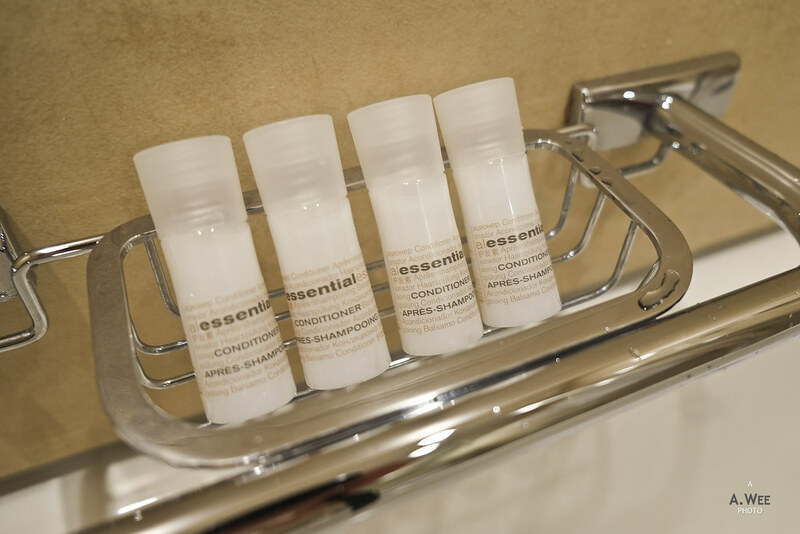 Amenities provided for guests includes only a conditioner in small bottles format while the hair and body shampoo was through a wall mounted dispenser. The hotel does lose some points in its poor offerings of bath amenities in this regard. 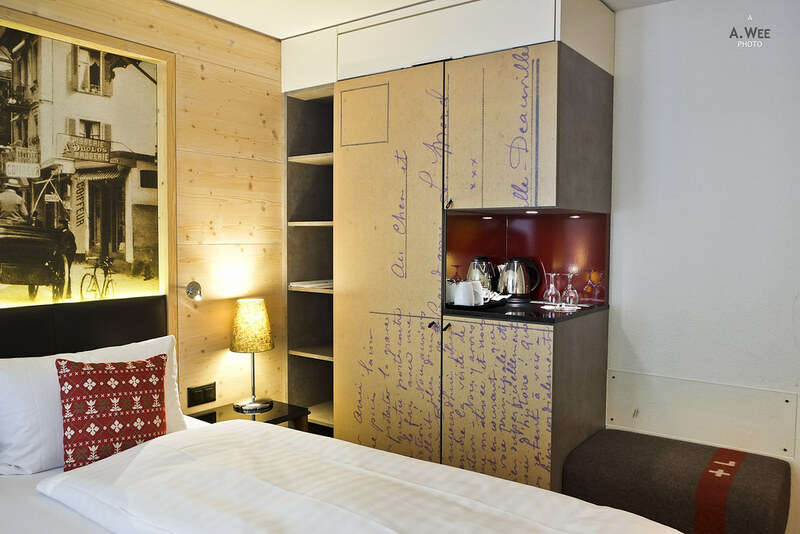 The room itself was much more spacious than the double room as it has an additional 2-tier bunk bed wrapped in wood by the wall and a double bed in the centre. There is also a work desk and arm chair in the room. Both rooms feature balconies and since they are located at both ends, we were able to enjoy the different views. 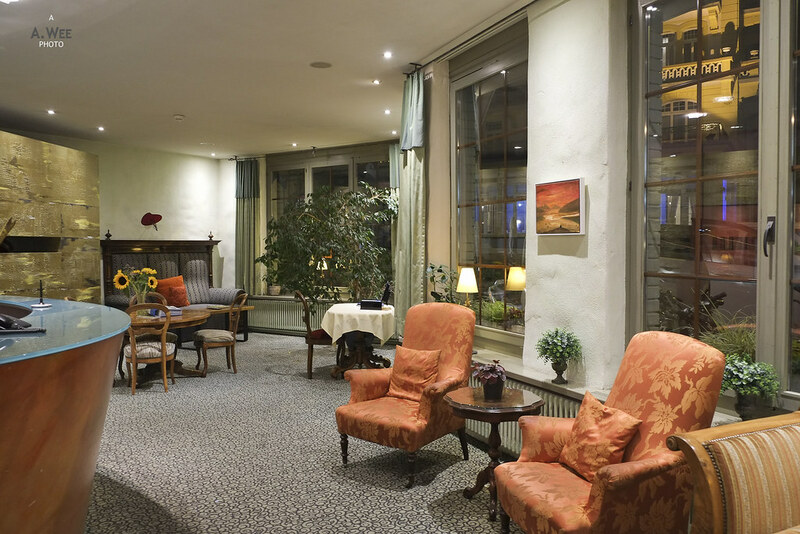 The 4-bed room overlooks the Schlosskirche at the back of the hotel while the double bedroom overlooks the main street with the Hotel Royal St Georges across from it. 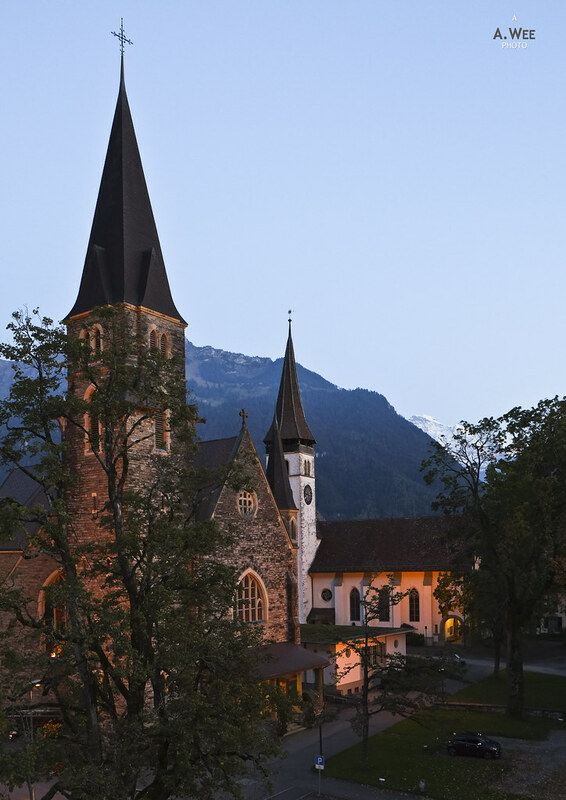 I would say the view of the church is quieter if it matters to people considering this hotel. Aside from the rooms, there are not other facilities except a small garden on the entrance around the hotel and a small lounge area. 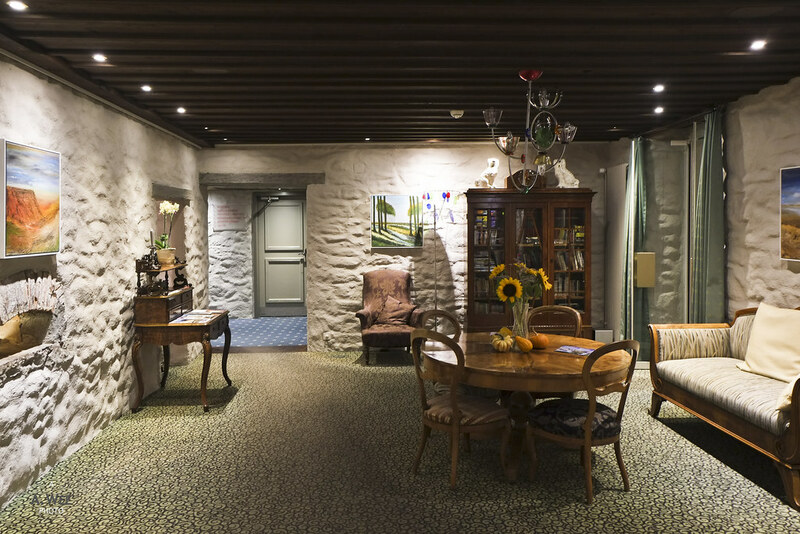 Wi-fi is provided free of charge for guests and it was usable so there are no complaints and our rate also includes breakfast served in the on-site restaurant. 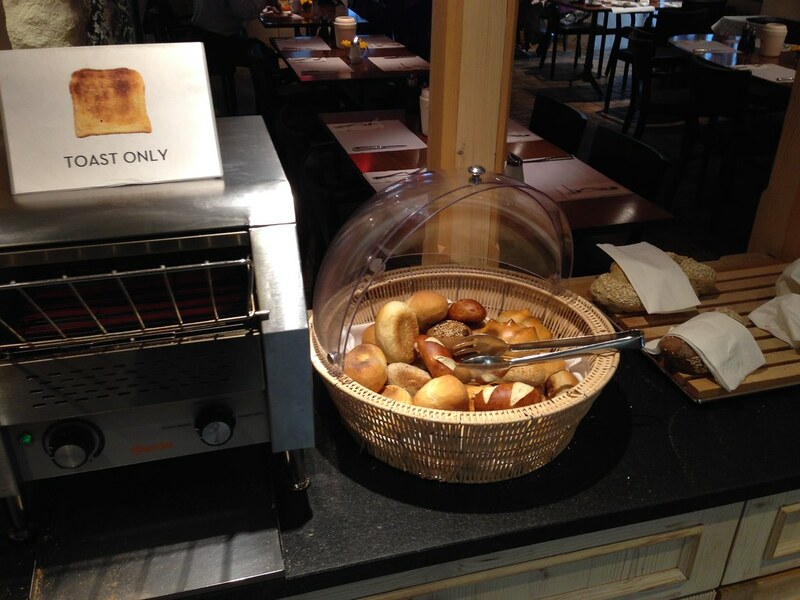 For a small boutique hotel, the variety of food served during breakfast was excellent. 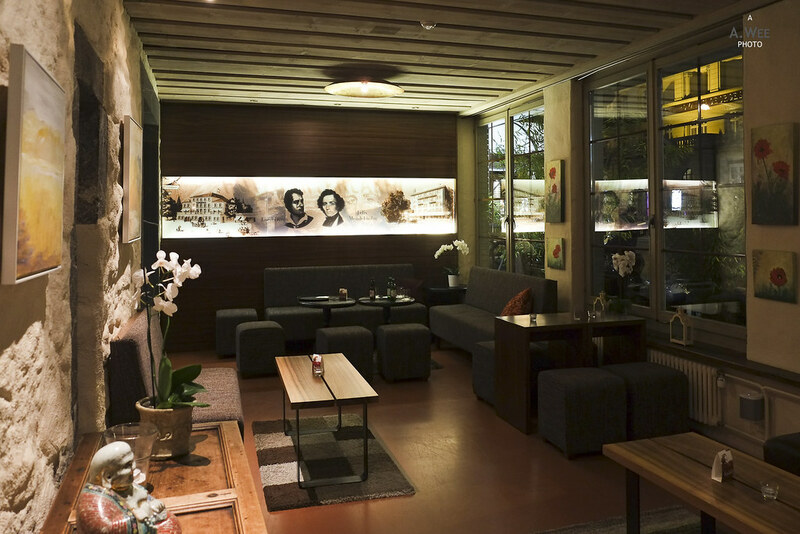 There was ample seating in the restaurant and the decor was also more modern. 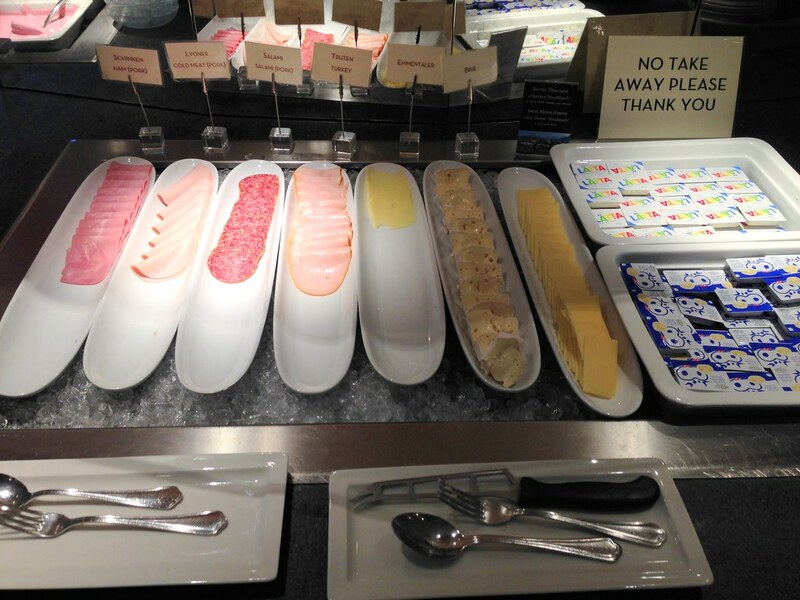 On top of the usual toast, the restaurant had a large variety of jams and spreads to satisfy even the most picky guests. 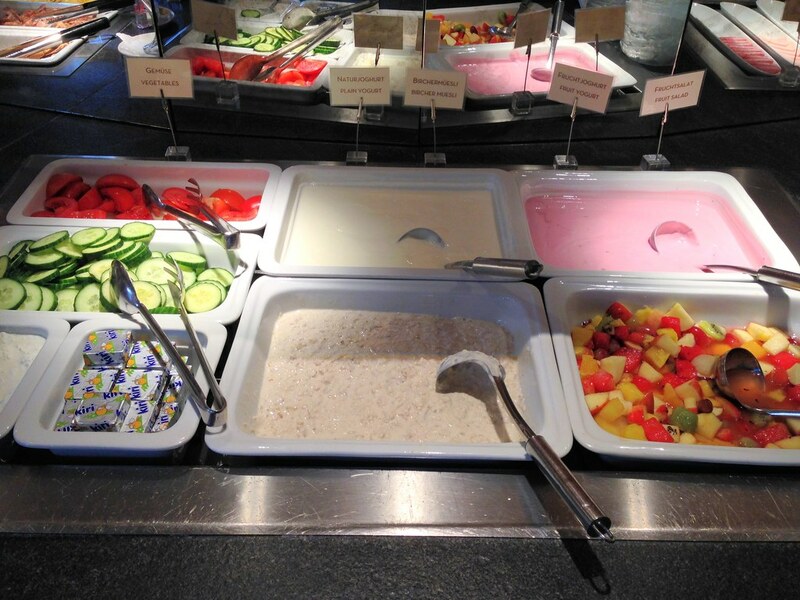 Since it was in Europe, the usual continental fare of cold cuts, cheese, and yogurt is another feature. 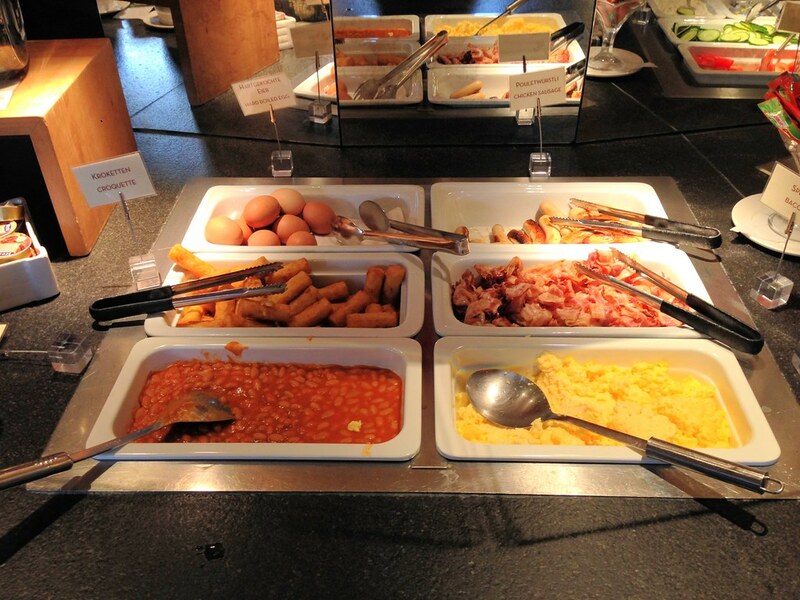 Though there was also a warm cooked food section featuring sausages, scrambled eggs, hash browns (potato croquettes), bacons and baked beans. 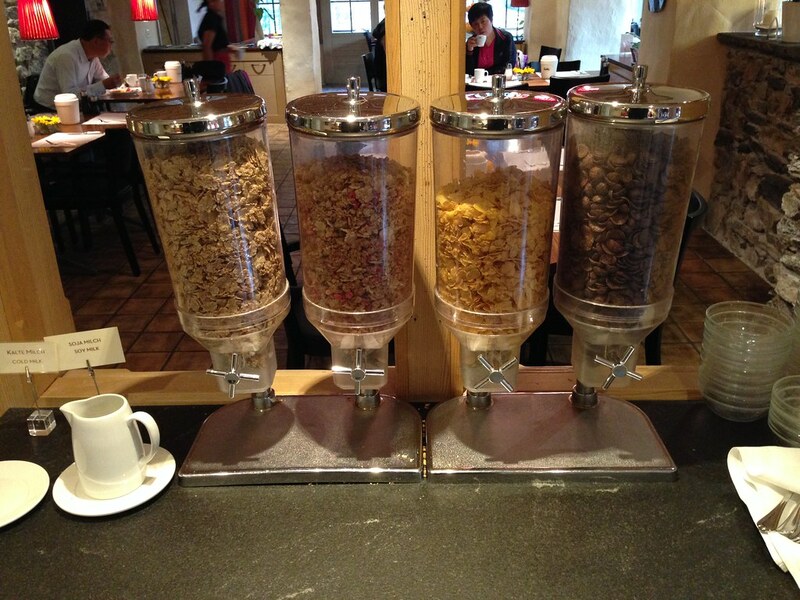 For the price of CHF224 (~$210), the hotel was not exactly cheap and I do not consider the service to be 4-star even if the breakfast was good. During the stay, my sister was bitten by bed bugs that seems to arise from the bed and that certainly make me re-think about recommending this hotel to other guests. Furthermore the lack of proper bath amenities also certainly pushed the value of this property down. All in all, while it tries to refurbish the rooms and has a good showing for breakfast, the lack of other facilities, consistency in decor, average amenities and possibly a lack of parking spots if the hotel is full makes me think that I could have gotten a better deal elsewhere if I booked earlier and not just left with this hotel as a choice. 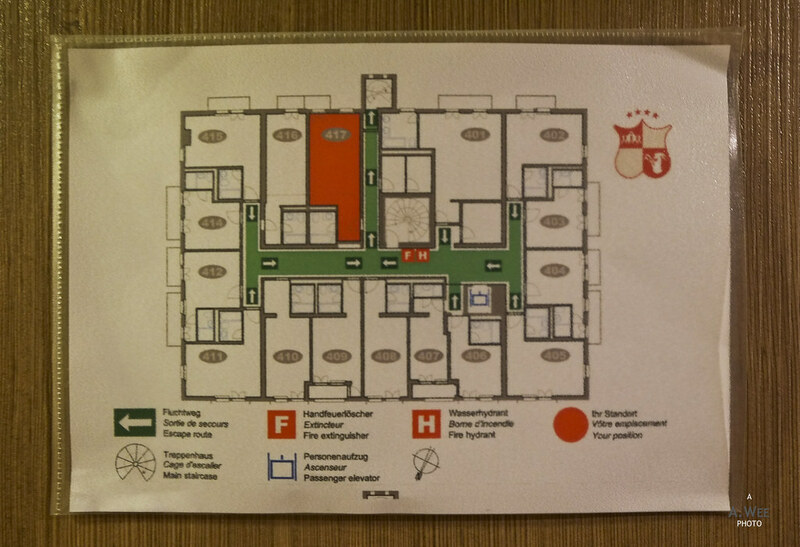 Is this hotel near the train station? 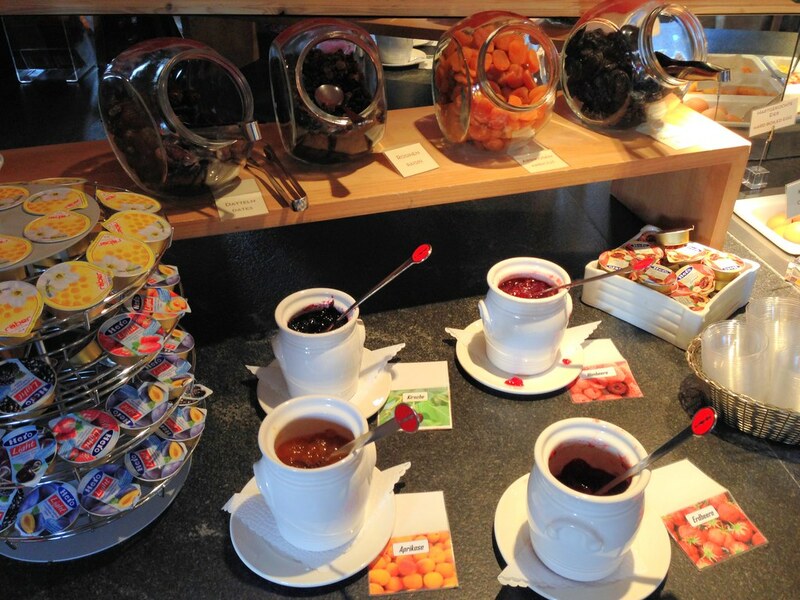 @zzzisle, yes this Hotel is of walking distance to Interlaken Ost station.